Senator Chris Dodd thinks the strict financial legislation he helped right has made the financial system stronger. Still, he admits it's not going to stop another crisis. 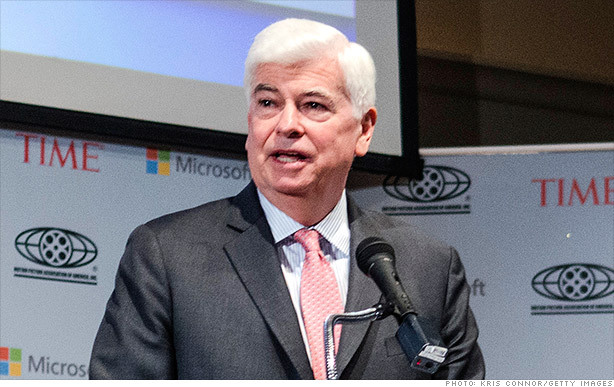 The financial regulation that bears his name isn't perfect, but former Senator Chris Dodd (D-Conn.) has no regrets. "There's nothing biblical about this legislation," Dodd said Monday, referring to the Dodd-Frank Act while speaking at the Milken Institute's Global Conference in Beverly Hills, California. "We had one window in 2008 to redesign the architecture of the financial services system." Dodd, who now serves as Hollywood's top lobbyist as CEO of the Motion Pictures Association of America, feels that critics of the law have a short memory when it comes to the financial meltdown of 2008. "$12 trillion in wealth evaporated," he told an audience of mostly Wall Street types at the Milken Conference. "Iconic industries were part of the carnage." But Dodd concedes the global financial system is still vulnerable to another crisis. That's because the next financial emergency could very well come from countries without established financial regulation like Russia, China or India. Given how closely tied world markets are, contagion could easily spread. As for figuring out a way to predict the next crisis, "We haven't even come close," he said. "Only time will tell." Reflecting on the bank bailout of 2008, formally known as the Troubled Asset Relief Program (TARP), Dodd said he and his colleagues had no other choice. "I'll go to my grave thinking we did the right thing," he said. "I can't imagine a Congress today doing what we did in 2008." He noted that several members of Congress, including Republican Senator Bob Bennett of Utah, lost their seats after casting votes in favor of TARP. As for his own recent career turn, Dodd found that his three decades in the halls of the nation's capital prepared him well for life in Hollywood. "I left one group of bad actors for another group of bad actors," he quipped.